Open Range R.V. 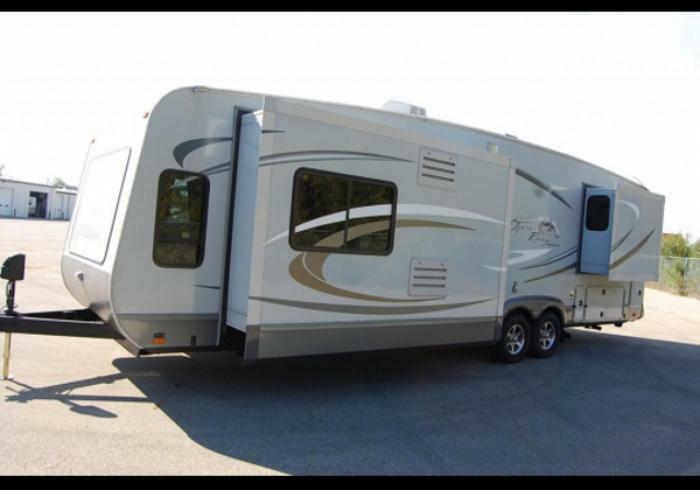 Company is recalling 387 model year 2012-2015 Journeyer trailers, models JT 337 RLS and JT340FLR, manufactured September 6, 2011, to April 30, 2014. The recalled vehicles are equipped with safety chains on the A-frame that are rated for 11,700lbs instead of being rated equal to, or greater than, the gross vehicle weight rating (GVWR) of the travel trailer. In the event the main trailer connection fails, the weight of the trailer can break safety chains that are not strong enough, allowing the trailer to separate from the vehicle, increasing the risk of a crash. Open Range will notify owners, and dealers will replace the existing safety chains with chains that have a 16,200lb rating, free of charge. The manufacturer has not yet provided a notification schedule. Owners may contact Open Range customer service at 1-260-768-7771. Open Range's number for this recall is 9905277.